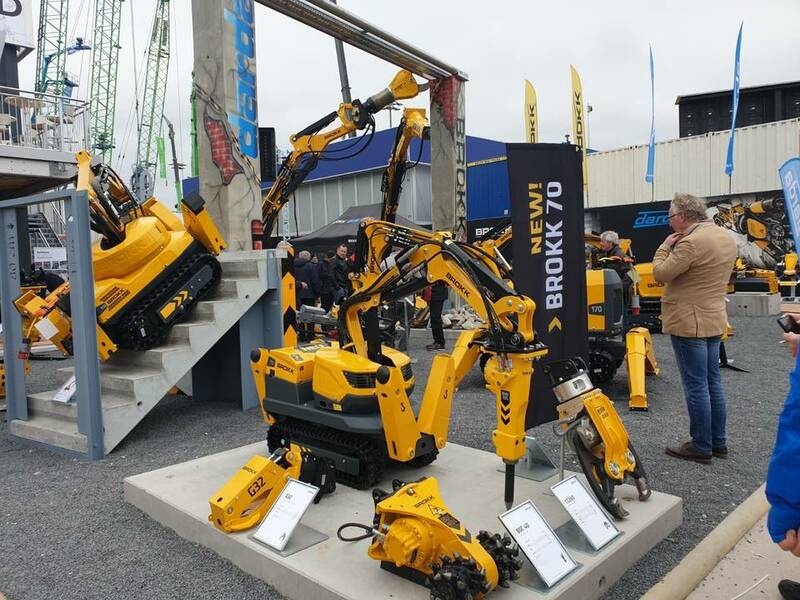 Brokk 70 at bauma 2019. Brokk has introduced a new machine, the Brokk 70. This follows last year’s introduction of four new models and extends the Brokk SmartPower lineup of machines. 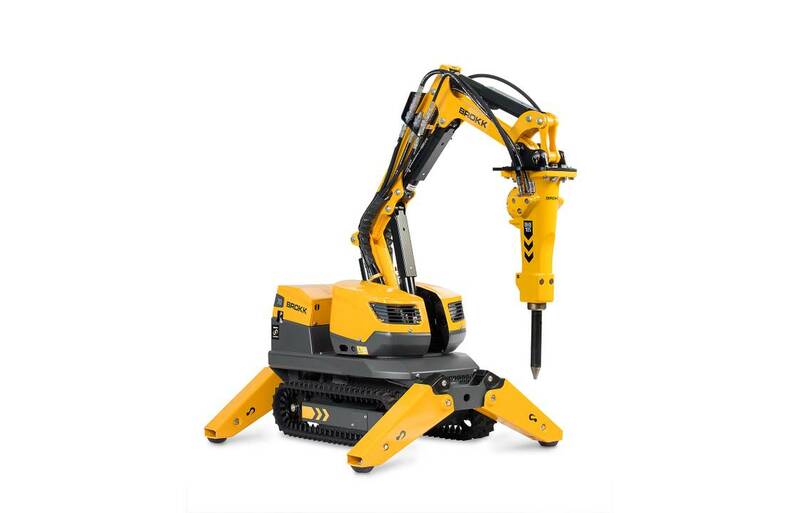 The new Brokk 70 is designed for safe, mechanised and efficient demolition tasks in the most confined spaces. Compared to its predecessor, the Brokk 60, the new machine packs more than 100% more demolition power, comes with the Brokk SmartPower technology, as well as a powerful and fine-tuned hydraulic system. The Brokk SmartPower electric powertrain increases its power from 5.5 kW to 9.8 kW and enables the Brokk 70 to power twice the size of breaker as the Brokk 60. The combination of Brokk SmartPower technology and Brokk’s upgraded hydraulic design results in both smoother and more precise movements for the Brokk 70. Furthermore, the stronger hydraulics and completely redesigned mechanics of the Brokk 70 allows it to carry and wield heavier and more powerful attachments. The Brokk 70 is equipped with several new attachments. The new Brokk BHB105 breaker weighs in at over 100 kg and comes with advanced features, such as water spray to suppress dust and air cooling for hot environments. The new Brokk BDC40 drum cutter features excellent cutting power, and the new Brokk G32 demolition grapple is the tool of choice for more efficient soft demolition tasks. The Brokk 70 keeps the same compact dimensions as its predecessor. It weighs only 560 kg, fits through narrow doorways and can be transported in an ordinary passenger elevator. Also importantly, it still runs on only a 16 Amp fuse.